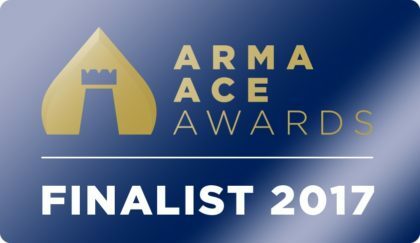 We are pleased to be one of the shortlisted finalists in the inaugural ARMA ACE Awards. ARMA (the Association of Residential Managing Agents) is the leading trade association for companies that manage private residential leasehold blocks of flats in England and Wales. ARMA promotes high standards of leasehold management by providing advice, training and guidance to its members. ARMA also produces guidance materials for leaseholders and residents’ management companies whilst campaigning for improvements in legislation governing the leasehold sector. The ACE Awards were introduced to celebrate excellence and exceptional achievement by the UK's leading residential managing agents, their suppliers and the work of their people in improving the lives of thousands of leaseholders across the country. ELM Group has been announced as a shortlisted entry in the Unsung Hero category following a rigorous judging process by a panel of independent judges. The winners will be revealed at an Awards Dinner & Ceremony on Friday 7th July in the stunning surroundings of Tobacco Dock, London E1. The event will provide a fun-packed evening of live music, fine dining and exciting entertainment. The Awards are open to ARMA members, associates, affiliates and external suppliers to ARMA members and include several categories not covered by other awards.